Do you know that feeling of falling in love? The excitement? The general happiness? The adrenaline coursing through your veins when you catch a glimpse of your great love? The pounding of your heart when you know you’ll soon meet again? The butterflies in your stomach because are so excited about every little detail of you newfound crush? Whenever I see a scuba diving picture on IG my heart skips a beat, because I know the feeling of freedom and being in complete awe of the amazing underwater world diving gives you. Well gives me, in any case. 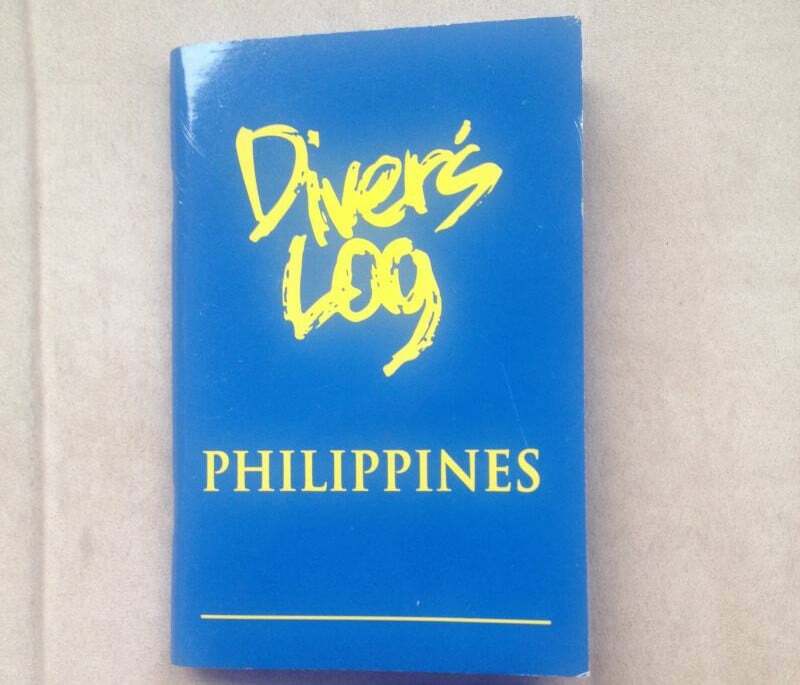 I am definitely still a diving newbie, with just 16 dives in my log. 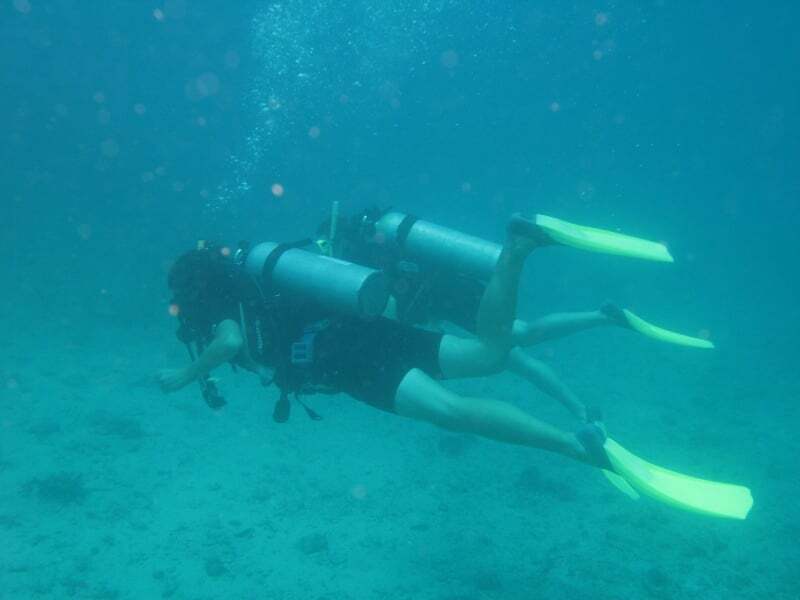 But I am planning to do a lot more diving and slowly but surely fill up that little booklet of mine… So far I went diving on 4 locations and I can say without a doubt that Tioman was the best! The coral was just stunning, it looked like underwater flower fields… In fact, you could see the coral straight from the jetty pier! And the marine life… amazing! In a 45 minute dive I saw a turtle, a giant moray eel and a shark. Not to mention all the other colorful fish darting around in every direction I looked. The dive masters of B&J Dive School, Will and Jess, were the absolute best I have met! They are such an adventurous couple, traveling around the world together and working as a dive instructor and dive master. And they are very good at their job! Will and Jess taught us about the species of fish in the area and about the importance of thorough dive briefings. Before starting a dive, they always told us what to expect of the dive site, such as depth, current and fish that were usually seen in the area. They repeated the most important dive signals and the safety procedure in case one of us got lost or separated from our buddy. Will and Jess also taught us about our gear. As I mentioned in my post about getting my PADI in El Nido, I had not learned to set up my own equipment completely on my own. Which is why I was very grateful they taught us how to assemble our gear and how to systematically do our buddy checks. I felt so much more confident developing a getting-ready-to-dive-routine and I personally feel this is a very important part of diving. Diving is all about being and staying save, making sure that you check and double check, that you never push the limits and that it’s better to be safe than sorry. Which is why it’s really important to check your gear. Of course it’s ultimately about exploring the underwater world and its magical creatures… Bringing me to reason 3 why diving on Tioman was awesome! 3. Focus on diving alone! I went diving on 2 consequent days and visited 4 dive spots in Tioman (there are about 30 around the island). All the spots were absolutely amazing! The visibility was good at the time of our visit (May 2015), between 12 and 20 meters depending on the dive spot and the water temperature a comfortable 30 degrees Celsius. Meaning even an extremely shivery type like me had no problem diving in a short wet-suit?. The dive site Renggis is between 6-16 meters deep and the coral is simply stunning. Really cool dive! Soyak was the second dive of the day, and while there are also 2 wrecks at the site we did not go there since there were all the way down at 30 meters. At that moment we did not have our Advanced PADI certificate yet, meaning we could only dive to a depth of 18 meters. Soyak Island, the dive site we visited, is between 10-16 meters deep. Again lots of beautiful coral and on this dive we saw another moray eel, a mappa fish, 2 blue spotted ribbon tail rays, a masked porcupine and a seal faced pufferfish. 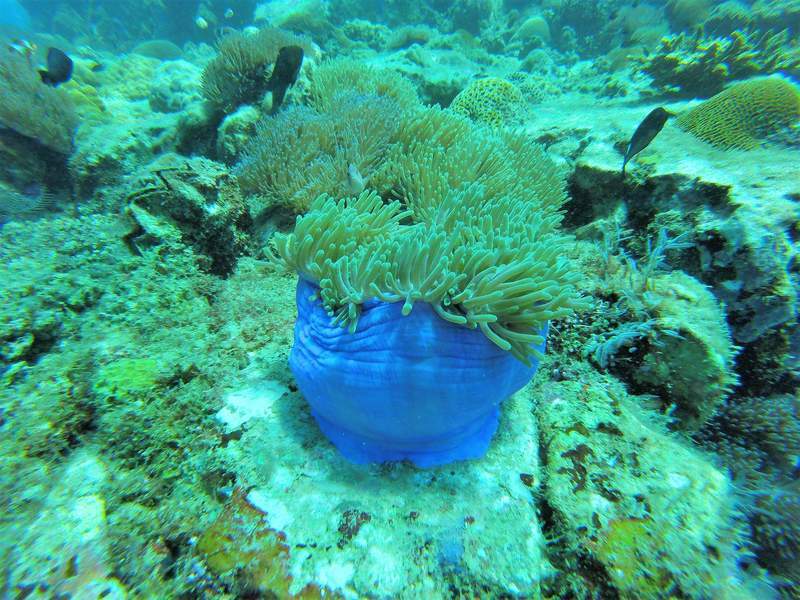 Labas was another amazing dive site and one of the favorites of our dive instructor Will. The site has a lot of rock formations, overgrown with all sorts of colorful coral and home to a huge variety of fish. Some of the fish we saw: a stonefish (not to be stepped on! 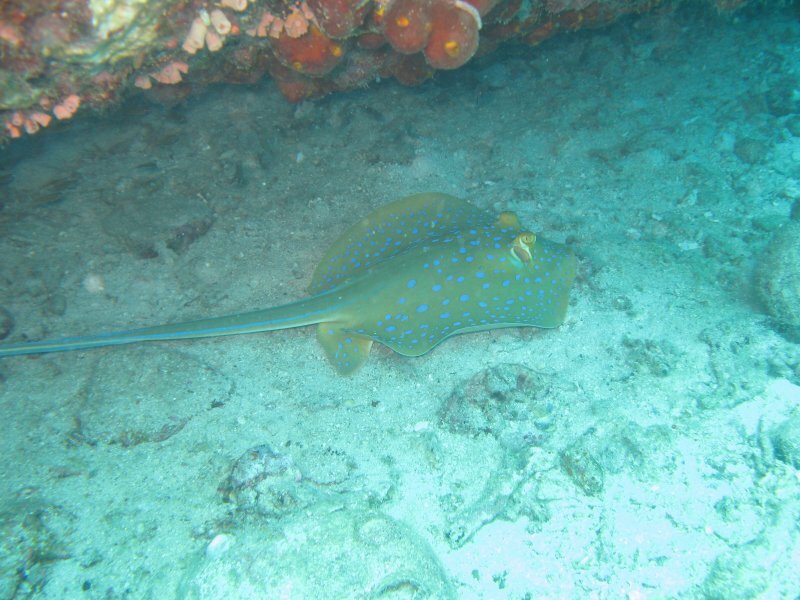 ), several angel fish and more blue spotted stingrays. Labas dive site is between 12-18 meters deep. 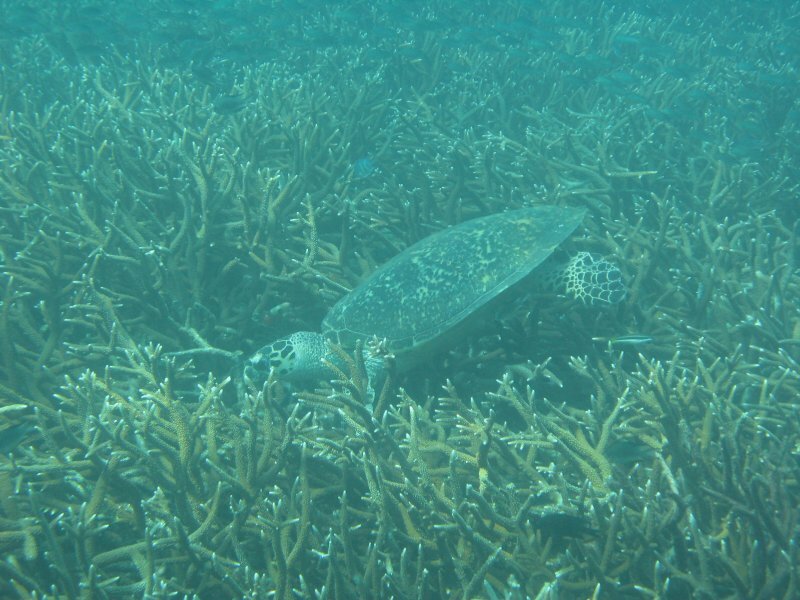 We saw 2 hawksbill sea turtles, pufferfish and lots of Nemos;-). Visibility at Batu Malang was the best, around 20 meters! You can read more about the dive sites at Tioman here. As I said repeatedly throughout this post, Will and Jess of B&J dive school were the best instructors of the 4 places I went diving (the Philippines, Thailand, Cuba and obviously Malaysia). But everything about B&J dive school is pretty excellent and I don’t say that lightly. The equipment is in pristine condition, the shop has a great assortment of dive gear and the staff gives excellent advice (I bought my dive mask there), the boats are well maintained and B&J has an excellent website as well. 2016 happens to be their 30th anniversary and if you are going to Tioman and are into diving, I fully recommend going with B&J! They have 2 dive shops, one in Salang and one in Air Batang (also known as ABC). We did 4 dives and paid 400RM each. Which comes down to just €25 per dive! This included all the necessary gear, unlimited coffee and tea in the shop and a light lunch on the boat. As a nice bonus we were transported from Salang to ABC village with the dive boat at the end of our second dive day, saving us a couple of bucks as well. Step 1: go to the pier in Mersing where you look for the Bluewater sign and buy your single way ticket for 35RM. It is possible to purchase a return ticket (which will cost you another 35RM) if you want to be absolutely sure not to get stuck on Tioman island (because imagine how horrible that would be?). You will have to let Bluewater know which day you want to return to the mainland, but dates can be adjusted if you change your mind. Just ask your accommodation on Tioman to call the jetty office. Anyway, buying your ticket is just step 1. Step 3: go to yet another booth where you get your boarding pass. Update April 2017: I went diving at the Perhentian Islands, another awesome dive spot in Malaysia, as well. 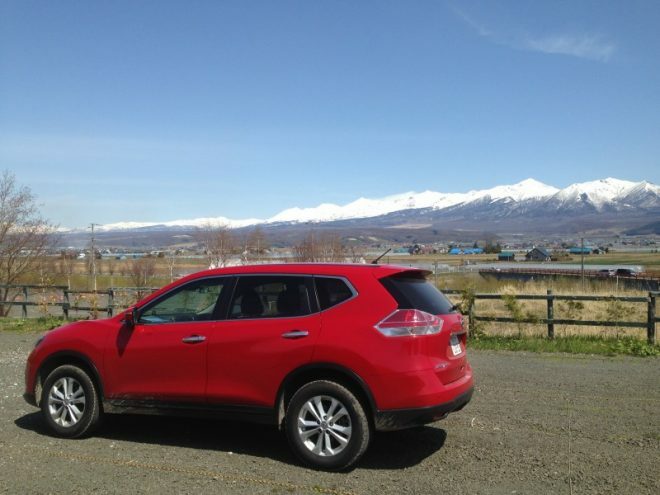 You can read more about my experiences in this post! Welcome newbie bubble-blower! I just returned from diving in the Philippines but didn’t visit this area at all. Glad to hear about your experiences. We were on a live aboard at the Tubbatha Reef, definitely more advanced diving but so worth the effort and expense to get there. I hope you get lots of practice and explore more. The underwater world is amazing! Thanks Elaine:-). Your live aboard experience sounds amazing, it’s definitely something I would love to do in the future. I completely feel the same way! We try to plan our trips around places that have dive sites. Good to know that we can add Malaysia to the list. We haven’t been diving for years more recently sticking with snorkeling instead. We really must do a refresher. You got a great price on some good diving sites. 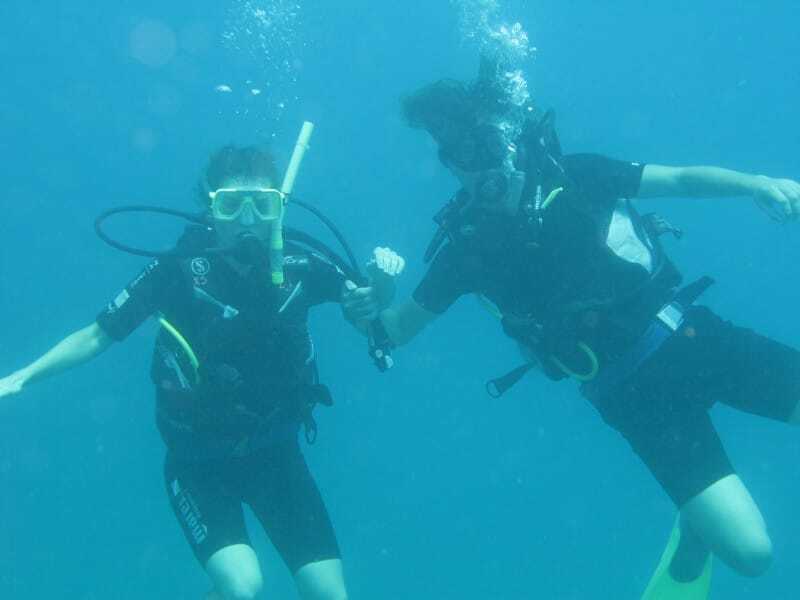 Snorkeling is great fun as well but I love the silence of being submerged below the water and feeling weightless… The price at Tioman was excellent value indeed! 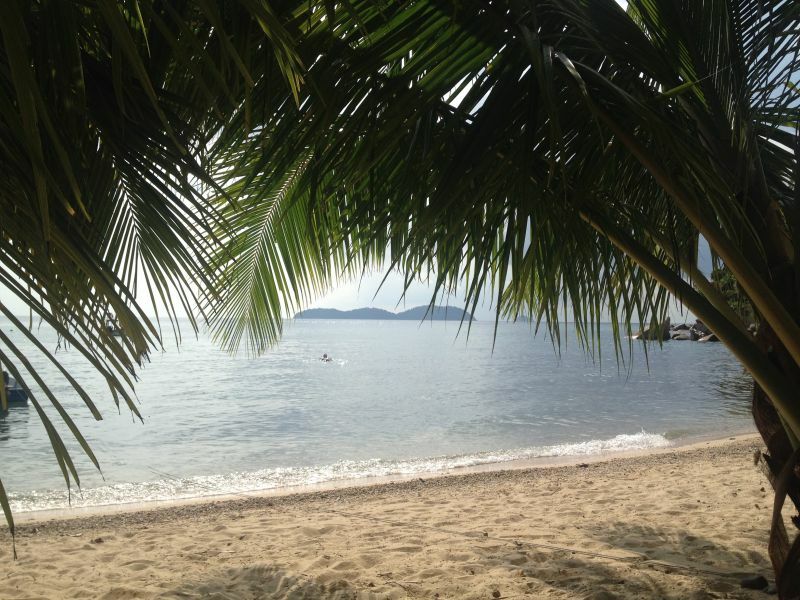 I agree, I haven’t seen nearly enough of Malaysia in my 2 weeks there… Would love to go back for more in the future! I’ve heard a lot about diving but never in detail- this was great! I’ve been on the lookout for good diving spots and where to do them, this is perfect being so close by. Bookmarked- thank you! 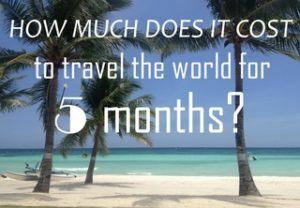 We learned to dive on Koh Tao and try and get 2 dives at a minimum where we are in a dive location – we learnt 4 years ago now and probably have the same amount of dives as you so awesome work getting to that many so quickly. 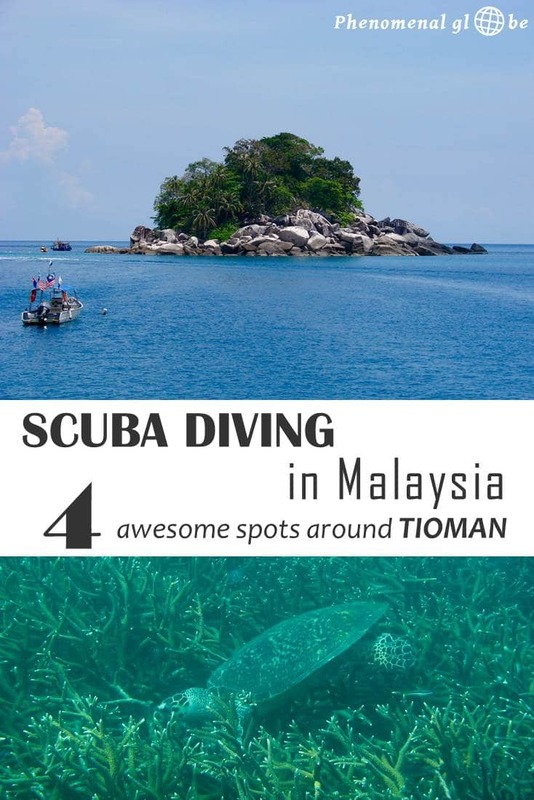 These spots look like amazing places to dive with great coral and a range of sealife – I’ll make a note of Tioman and include it on our next SE Asia itinerary! I took my Advanced PADI at Koh Tao too:-). Diving is definitely I have been trying to work into my itinerary when I visit a country where diving is an option! Diving at Tioman is something I highly recommend, as said in the post: it’s my favorite dive spot so far! I’ve been so curious about the islands of Malaysia. I’ve only been to KL and wasn’t a fan of it and I feel that a trip to the islands would definitely change my mind1 about my first impression of the country. I’ll definitely be keeping these in mind. 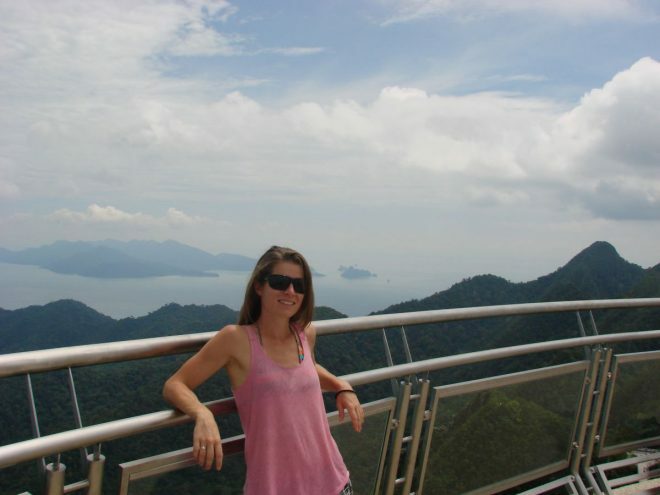 I have only been to 2 islands in Malaysia (Tioman and Langkawi) and thoroughly enjoyed both:-) I totally recommend checking out some islands, very different from big and busy KL! Thank you Yvonne, coming from a PADI Divemaster that really means a lot to me:-). The pictures are not mine but graciously given to me by a fellow diver, he did an amazing job indeed! 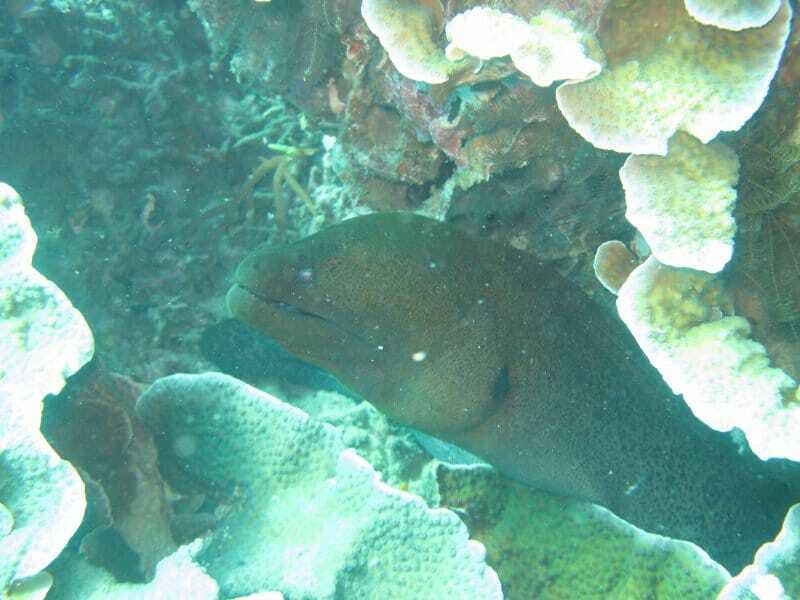 Moray eels can be pretty scary and I can imagine an encounter in a dark hole even more so;-). Still very cool though! I would love to go diving in Australia one day, any advice about the best places? Hey Kate, sorry to hear about your ear problems. Bummer diving isn’t an option for you:-(. Luckily snorkeling around Tioman is really great too, at ABC village there is coral reef which can be accessed directly from the beach and at Batu Malang there were many people snorkeling as well because the reef starts at 6m deep. 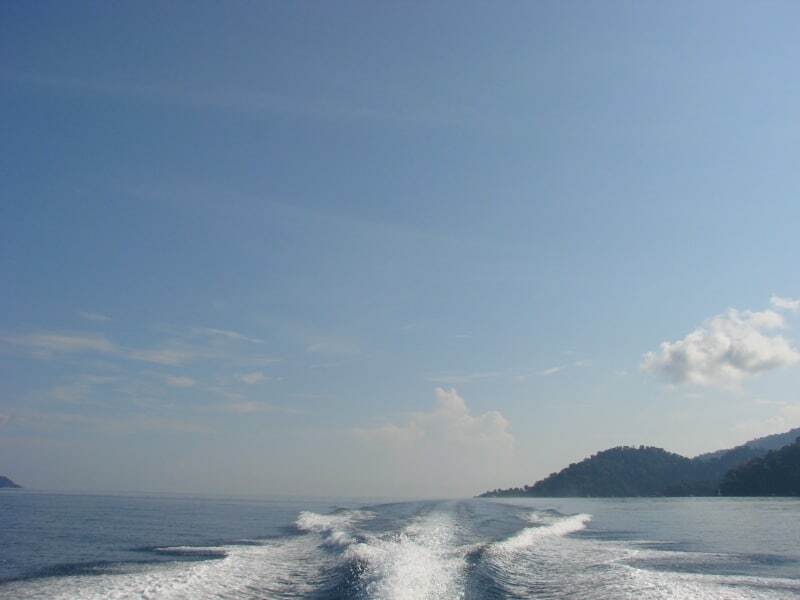 Malaysia is excellent for diving, besides Tioman there are many more islands where you can go diving. Happy to hear I inspired you to go for your PADI, let me know if you have any questions!